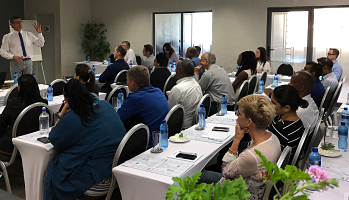 Fibertex SA hosted a conflict resolution workshop for staff, customers, suppliers and interested business associates, at the company’s Hammarsdale head office, at the end of 2017. 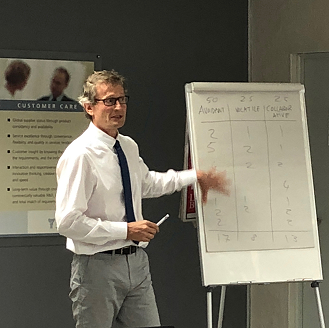 This interactive workshop was run by John Ford, a highly experienced workplace mediator, who provided practical tips, using proven responses and techniques, on how to resolve conflict situations, before they escalate into difficult disputes. “Conflict in the workplace and other environments is inevitable. Conflict can present an opportunity when handled well and be a costly disaster when handled poorly,” explains John Ford. “Conflict is like a fire – it can be both constructive, or destructive – depending on how it is managed. “Through these workshops, we encourage organisations to approach inevitable internal workplace conflict with greater clarity and confidence. “It is critical we all learn how to recognise criticism, blame and defensiveness as early warning signs and to respond by using a proven process to resolve conflict. By the end of the workshop, delegates had a greater appreciation about the importance of recognising conflict early and were shown how to use simple tools to respond wisely for the lasting resolution of conflict.